Many people around the world find themselves struggling with debt on a daily basis. The recession has shed light on how poorly many people manage their finances. Debt, decreased savings and increased expenditures are some of the pitfalls that can seriously derail your finances. Avoiding these mistakes can make a huge difference in terms of financial security. It’s true that, when it comes to money, we all make mistakes. Our personal finance lessons are often learned through experience. However, it is important to realize the mistake and prevent it from happening again. Here we have gathered 10 of the most common mistakes made in personal finances; avoiding these errors can help you build financial security. This is the cornerstone of personal finance, regardless of your income or net worth. It doesn’t matter how much you earn, but if you live within your means, you can save money in long term. It is simple math: income < expenses = debt, while income > expenses = surplus. Although buying a couple of things here and there might not seem to have much significance, it can make a huge impact over time. Frivolous expense such as ordering out for lunch or dinner or going to movies at peak time can add up and drain your bank account. Ideally, you should save and invest a percentage of each paycheck or income source you have. One of the main reasons behind frivolous spending is not having set a budget. A monthly financial budget helps you calculate how much you are supposed to spend in the entire month. It is calculated by considering your total income, your fixed monthly expenses, debts and any other liabilities. 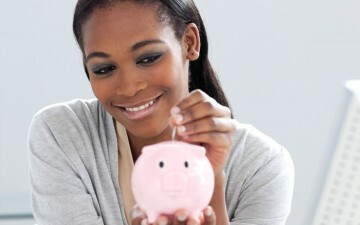 Your monthly budget should also take into consideration the amount you should be saving for retirement or a rainy day. Once the monthly budget is set, you can spend accordingly. Most young people think that retirement is simply too far away, so they can think of retirement savings later on. Actually, people grossly underestimate the true cost of retirement, and when and how much they should start saving. Most of us often ignore our credit score. The credit score and credit report are essentially a record of how you have handled your finances over time. These two records actually determine whether or not you will be eligible for thousands in savings when you make bigger purchases. To improve your credit report and credit score, make sure you always pay your credit card bill on time, and dispute any mistakes on your report. To put it simply, having debt stinks. If you owe money, then you are just reducing your cash flow to make the payments. Clear off your debts as early as possible to help increase your savings. If you do acquire new debt, do it cautiously and only after researching the best loan options. For most of us, buying a home is our biggest investment. Many people end up investing all of their savings and other funds to buy a dream home that is way beyond their budget. Living your dreams is great, but jeopardizing your financial situation in the process is not smart. Big or expensive houses also come with unnecessary added expenses, such as higher utility bills, maintenance costs and taxes, beyond the initial house price. Most of us spend our entire paycheck and wait impatiently for the next. Living life to the fullest has become the motto for many people, and this leads to spending everything they earn without thinking about the future. Dinners, movies and drinks have become essential aspects of our lives, and we forget how easily our financial situation can take a turn. This puts one in a horrible position of being without any money if a paycheck were to be missed. Insurance is a crucial emergency fund that supplements your cash emergency fund. It covers the things you could not save up to cover in advance, thus helping protect your largest assets in case of a major accident, injury or death. You should have enough insurance to replace your assets in case of extreme need. This may include auto insurance, home insurance, health insurance, long-term disability insurance, life insurance and long-term care insurance. However, it is also important that you don’t go overboard in buying insurance. Take a balanced view and only pay for what you truly need. Car loan payments cause many people to find their heads ‘under water’ financially. We all know that a car is an asset whose value starts to go down the day it is purchased. Most people spend thousands of dollars on a new car only to find out that its value is seriously depreciated after a couple of years, while they are left having to make payments on the car loan. A car is a big investment, so spend judiciously on it. Buy a pre-owned model to minimize your loan payment and save enough for tough times. High interest rates, huge expenses, lower income, more liabilities – at times all these factors can leave us confused. Despite trying hard, we are unable to come out of the vicious circle of debt. If you honestly need help with something – such as taxes, real estate investment or debt management – don’t try to go it alone. It is wise to seek professional help if you really need it. This may make it much easier to analyze your situation and make the proper financial plans for the present and the future.